The poetry of geometric forms in evident in PARIGI QUADRI (Parisian squares) throws by Masserano Cashmere of Biella, Italy. 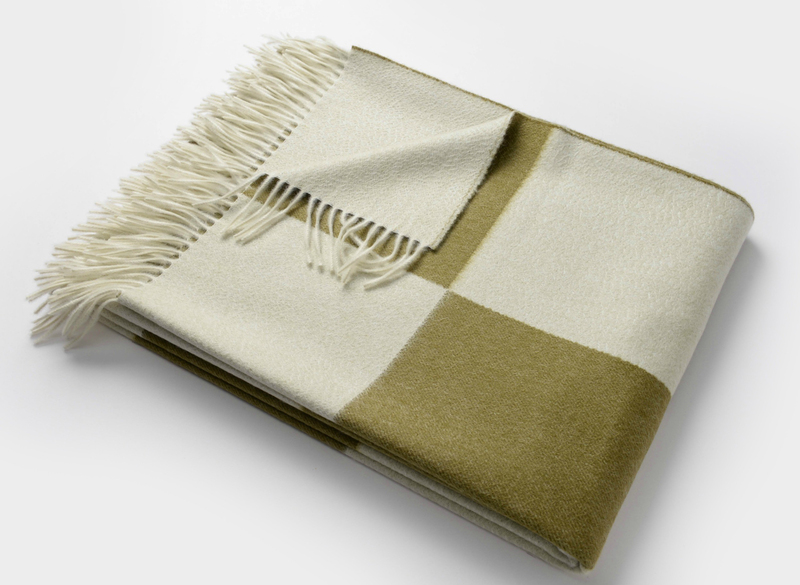 Select this chic, urban cashmere throw in tones of grey, beige, olive green or blue. Double faced and finished with an elegant fringe. PARIGI QUADRI is custom made to order in Italy. Shipment is in approximately 3 weeks. Please contact Aiko Luxury Linens for availability of sample colors. Return to Masserano Cashmere Homepage. 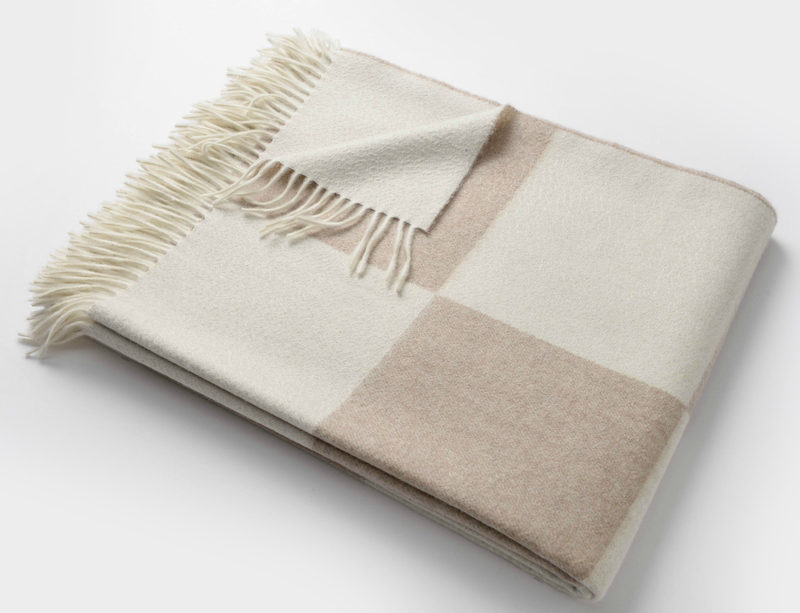 Parigi Quadri Cashmere Throw 55" x 70.8"